We’ve acquired a new Jenga game at Phog after finally having the last Jenga piece finally stolen. Yes, Phog-goers were cool enough to decorate all of the Jenga tiles, but they were so great…everyone wanted them. So now that they’re scattered around the bachelor apartments of Phog-goers, we decided to get a new batch. 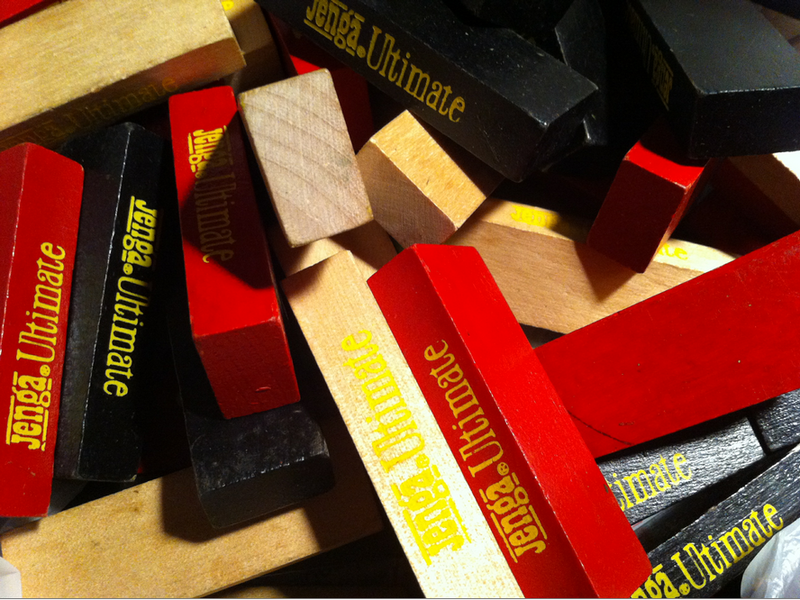 If you want to come and grab some deluxe poutine or pizza (or both) and play a good ‘ol game of Jenga…you can…again. This entry was posted in Uncategorized and tagged games, Jenga, phog. Bookmark the permalink.